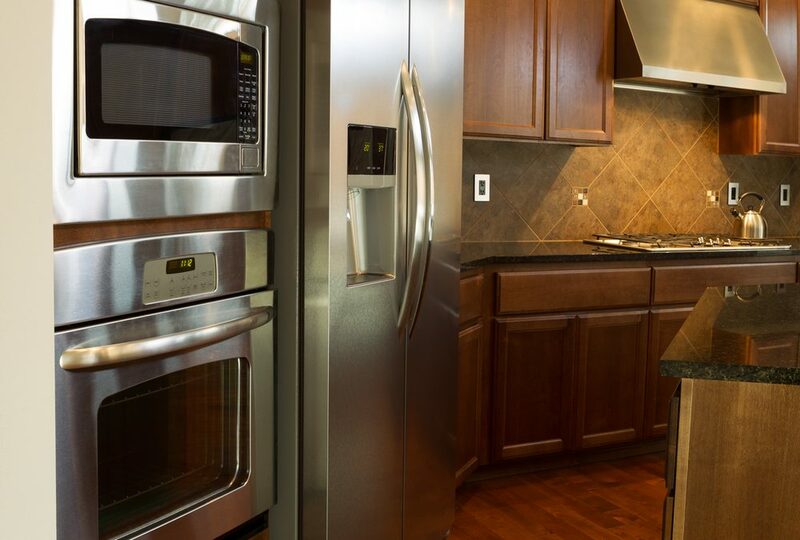 One of the most frequently asked questions is “how to clean stainless steel refrigerators”. Your refrigerator takes a lot of abuse. From sticky fingers to smudges, it is nearly impossible to keep your stainless refrigerator pristine and beautiful. 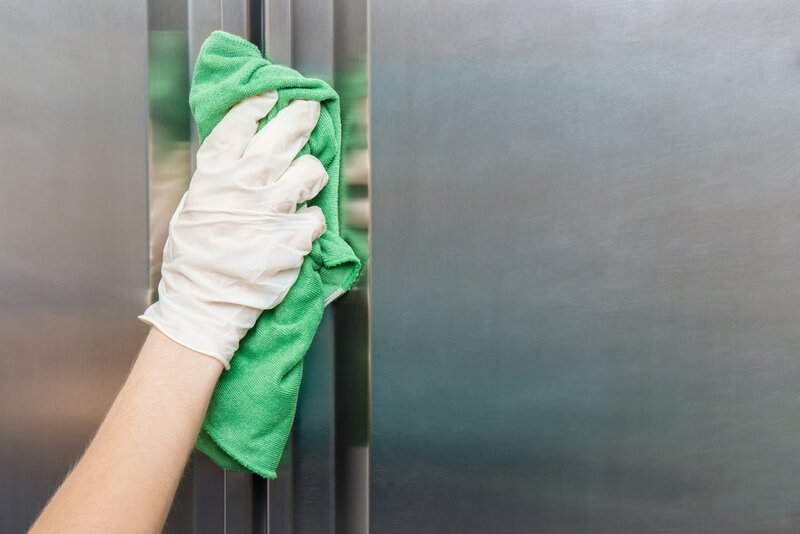 The best way to clean stainless steel refrigerators isn’t to buy expensive cleaning products. It is about using things that are found in your pantry and a little elbow grease. Even if you have a busy household, your stainless steel refrigerator doesn’t have to suffer if you use these natural, inexpensive and effective cleaning tools. The way to clean stainless steel refrigerators is less about the products that you use and more about the technique. Contrary to what most homeowners think, stainless steel can scratch easily. That is why it is as important what products you use as the way you use them. Something as simple as a kitchen scrub pad can do some major damage to one of your biggest kitchen investments. The best way to clean stainless steel refrigerators is with a light touch and an even lighter abrasive cleanser. Use a smooth cleaning cloth. The type of cloth used when you clean your stainless steel refrigerators is important. Try to use something like a microfiber cloth. The reason they work so well is that, unlike their cotton counterparts, they don’t leave residue in the form of fibrous material. That can ruin the whole look. If you want to use a paper towel, that will work too. But, for a super awesome shine, a microfiber cloth can’t be beaten. Stainless steel has a specific grain. Knowing which way it runs is essential for a perfect shine. To clean stainless steel refrigerators without flaw, you have to distinguish first which way the grain is running. If you go against the grain, you run the risk of scratching your refrigerator. That can put a damper on any clean shine. The products you use to clean your stainless steel refrigerators is important. You don’t have to spend a fortune to find something to make it shine like new. The best products to use on your stainless appliances can be found in your pantry. Not only green, but they also offer the best value and environmental footprint over chemicals you can buy over the counter specified to clean your stainless steel refrigerators. To clean your stainless steel refrigerators, sometimes all it takes is just a little water. Since it is mostly about the technique and going with the grain, a little water, and a microfiber towel can do miracles to make your stainless shine like new. The cheapest way to clean your stainless steel refrigerators is just to use some water to erase fingerprints and stains with ease. You may have to rub a little harder, but it is the perfect fix for a quick shiny appliance. The best part about using water is that it won’t streak. Olive oil or vegetable oil do the job to clean your stainless steel refrigerators. You can even use baby oil. It may be a little more time intensive because you have to dry up the extra oil, but the darker sheen may be worth it. If you want a beautiful shine and some antibacterial and antiviral protection, use white vinegar and water. In a spray bottle mix one-third water and two-thirds white vinegar. It is an excellent way to clean your stainless steel refrigerators and to kill any germs that may be lurking. If you want something that will work quickly and leave no marks, then you can use commercial cleaners. Many products are sold over the counter that can make you refrigerator look streak-free and like new. The best way people have found to clean your stainless steel refrigerators is by using free, or close to free, things found around the house. If you go with the grain, use the right cleaning tools and products, it only takes a minute or two to make your appliances shimmer.